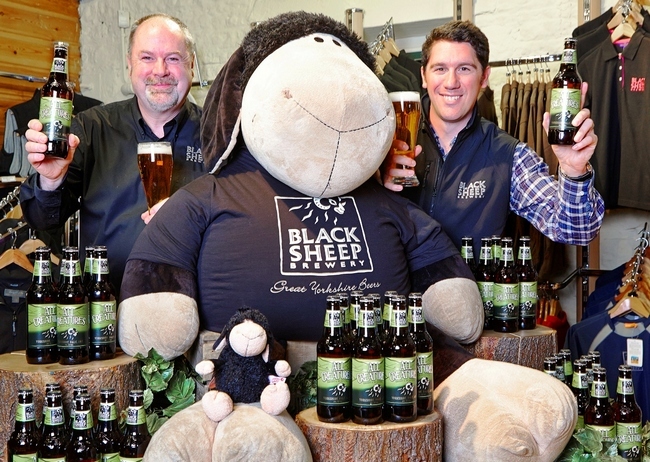 Continuing with the celebration of Yorkshire literary Alf Wright and his creation of television character vet James Herriot, Black Sheep Brewery has introduced a new bottled version of their cask Pale Ale called “All Creatures”. All Creatures has been launched as an addition to the brewery’s permanent bottled range, and will be on sale across 237 Asda stores. The move comes on the back of a great response to the cask version of the beer over the last two years, and they have kept the hop combination of Fuggles, Goldings and a slug of Bramling Cross that delivers a stubborn hoppy kick. They have upped the ABV to 4% and the beer retains its lovely refreshing flavour. The hops are well balanced against a creamy, malty background derived from Maris Otter malt, says the brewery.